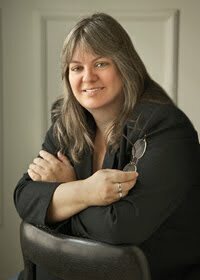 Jennifer Ashley Guest Post & Giveaway | Got Fiction? Hi Demonlover fans! 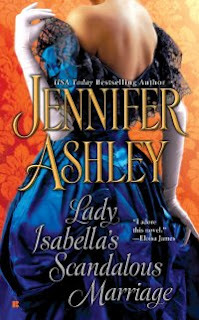 Today we have one of my favorite authors here, Jennifer Ashley! And she’s giving away a signed copy of The Madness of Lord Ian Mackenzie to one lucky commenter! Before we start, I just really quickly wanted to share with you the Mackenzie Family Tree which also has updated info on the latest book releases and future Mackenzie books. “Hi, and thanks so much for inviting me to your blog. As you know, my latest release, The Many Sins of Lord Cameron, Book 3 of the Highland Pleasures (Mackenzies series) is right around the corner (official release day August 2). I’m also thrilled that Book 1, The Madness of Lord Ian Mackenzie, has been re-released with a new cover by Berkley. I’m so happy that Ian is back! A question I am often asked about this series is: What inspired you? Why did you write about a hero with Asperger’s Syndome? (Ian, in Madness of Lord Ian). Where did you get the idea for the whole series? Well . . . that’s a very good question. The series had been percolating in my brain for a very long time before I even pitched it to my editor. The idea first glimmered in about 2004, kind of out of the blue. For some reason I remember sitting on my sofa and looking out the window at my lovely back yard as the Mackenzie men walked into by head. The idea of this family of very bad, bad boys appealed to me. I don’t mean your average rakehell, I mean bad boys with a capital Bad. They live in the stilted Victorian world, but they follow no rules but their own, and they don’t care whether they are accepted in society or shunned by all. Social acceptance is not important to them for any reason. They’re Scottish, because–men in kilts–and besides, I love all things Scottish. I could imagine these Highlanders–powerful, large men who don’t take crap from anyone–existing in the pristine world of Victorian England. I love incongruities like that. The Mackenzie ruthlessness carries from a touch of obsessive compulsiveness and Asperger’s Syndrome, which manifests more in some members of the family than others. I had always seen the youngest brother (Ian Mackenzie in The Madness of Lord Ian Mackenzie) as having high-functioning autism. Part of what drove his story was me wondering what it had been like for people before autism and Asperger’s was recognized and diagnosed. How would he function in this world, and how would the world interact with him? I fell in love with Ian right off the bat! But mostly I wrote the series because the characters of these four brothers just got into my head and wouldn’t leave me alone. They all have their “madness”– Ian with his AS, Mac a crazy painter with a broken marriage (Lady Isabella’s Scandalous Marriage), Cameron a genius with horses and wicked with women (The Many Sins of Lord Cameron), and Hart–the leader, who is brilliant at finance and politics, and basically makes the whole world turn in his hand (The Duke’s Perfect Wife–forthcoming). Night after night, when I went to bed, the Mackenzies invaded my thoughts, waking and sleeping. I figured that, if they stuck with me that much, maybe they’d stick with readers too. At the time, I was already contracted to do a number of different books (the Immortals, Nvengaria series, Dragons as Allyson James), and so I had to wait a while before I broke it to my editor that I wanted to do a new series, leading with an Aspie hero. My editor thought I was nuts, but bless her, she let me do it. I doubt I’d have been able to sell Madness of Lord Ian as a new author on a new contract, but I had an editor (Leah Hultenschmidt, who is now at Sourcebooks), who trusted me and was willing to see what I’d come up with. And so the Mackenzies were born. When the series launched, however, the first book (The Madness of Lord Ian Mackenzie) was almost the last book. I won’t go into the troubles at my former publisher, but needless to say, the series nearly died the first day out the door, and I knew I had to take it to a new home or abandon it. It’s highly unusual for another publisher to pick up a series in the middle (unless it’s a blockbuster or you’re already a blockbuster author), so I was looking at never being able to tell Mac’s, Cam’s, and Hart’s stories. Enter my editor at Berkley, Kate Seaver (who actually bought my very first novel at Dorchester way back when), who said she’d love to bring my Jennifer Ashley books to Berkley. Because Berkley’s schedule was already pretty full, she could only find me good slots where she could, which is why the books have unfortunately been releasing a year apart. (The Duke’s Perfect Wife is coming out only nine months after Many Sins of Lord Cameron, so that’s a little improvement.) But I’m just grateful they’re being released at all! The current book, The Many Sins of Lord Cameron, was a joy to write. Cameron is the biggest, loudest, rawest of the Mackenzie brothers. He spends all his time with his horses, fears he’s a terrible father to his teenaged son, and suffered a lot in his first marriage. Cameron is notorious for taking up mistresses and dropping them quickly, but he likes to keep women at a distance for reasons which become clear in the book. Until, that is, he meets Ainsley Douglas, a young woman who’d been raised by a houseful of brothers (the McBrides) and who has sins in her own past. So that’s the story of how the Mackenzies came to be. Any questions? Have never read anything by this author, but would love to! Thanks for the guest post and giveaway! I really enjoyed this post and learning more about the Mackenzies and how they came about. I haven’t read this series as of yet but you have me so intriqued. I look forward to reading about the bad boy brothers. You are a new author me but I have several books of yours on my radar. There is just something irresistible about sinful man, and the anticipation to see him redeemed by one very special lady. I like it even more that they are Scottish. I do wonder what sins these Mackenzie men have. Thanks for sharing how the Mackenzie came to be. I have a feeling once I start your series I am going to want more and more. I honestly love this author and cannot wait for more of that family! I love this series so far! Can wait to read the new one. Thanks for sticking with finding these books homes, I would have been quite sad (as I am sure you would have) at not being able to read all 4 brothers stories. I love Jennifer Ashley though I haven’t read this series yet, I did read her Immortal’s series and was hooked. Wow what a story how can I have questions after such a full answer. Very cool. I can’t wait for Cameron’s book. I love how the MacKenzie brothers are a whole new level of Victorian wicked and I absolutely love the complex relationship between them. So excited to read Cameron’s book! Ok, Jennifer, your books are definitely moving up the ladder on my TBR list. Love a man in a kilt! This sounds like a fantastic series, and bringing a different light to mental illness, disability, disadvantage or just plain difference is a passion of mine in writing, so I am in both feet first now! Thank you for the great guest post! After reading the review and going through the family tree I am very eager to read the next book. Congratulations on the new release Jennifer! I haven’t read any of Jennifer Ashley’s books before but they sound like fun! I love getting insight on how these books came to be. I love Jennifer Ashley’s books! Great interview with a lot of interesting information. Thanks for the opportunity to win. I love the way she described sitting down staring out the window and she could imagine the characters walking by…wow. I can’t wait to read any of her books. Thanks for giving me a new author!!! Covers are gorgeous and I can’t wait to read the books, man oh man who doesn’t love a half naked highlander? I love all of her Shapeshifter books and now I’ve fallen in love with the MacKenzies too! Can’t wait for more books from each serie! Will have to put them on the tbr list! Loved her Shapeshifter series and had no doubt her MacKenzies books would be just as great! Can’t wait to get the new book for both series! Her style is so unique I think I’m going to like anything she writes. It doest get much better than bad boys in kilts, who do as they please! I am very excited about this next book! Thanks for the background. I look forward to reading this. I love the cover. I fell in love with the character on Boston Legal who had AS. They portrayed all his quirkiness but in a very sympathetic manner (for the most part). And I agree – men in kilts are delicious. I’ve also recently fallen in love with Victorian England since I’ve been reading some steampunk. Lord Ian’s story has everything. The Mackenzie brothers sound awesome. Love the covers to your books. Thanks for the giveaway. Darn, forgot my email. Too hot to think properly. Just wanted to say how much I love your books and this series in particular! I haven’t had a chance to start this series, but I’ve been meaning to for a while now. The Madness of Lord Ian Mackenzie sounds very intriguing. I really enjoyed your post. I enjoy learning about the authors, and how their ideas come about for the books and the characters. Thanks for the opportunity to win this book. I enjoy Jennifer’s books. Wow! Love your books and I’m one of your followers. Don’t ever stop writting. I love everything written by Jennifer Ashley but Ian will always be my favorite! Great interivew and fabulous covers! Can’t wait to give this new to me author a try! love the covers as well, sounds like a great book thanks for the giveaway! Pleae, enter me in the contest. I want to learn all about the Mackenzies. I’ve read jennifer’s shapeshifter book and her janet Begay series as Allyson james, but I had no idea she wrote historical romances. I’d like to give one a try. I loveeeeeeeeeeeeeeeeeeeee Jennifer Ashley!!! Laurie got an ARC of Lord Cameron and I weeped with jealously. Lucky girl!!! I know she loved it and I’m hoping I’ll love it as well when I get the chance to read this. Awesome post. To have the men emerge like that is a pretty interesting sight and one that Ms. Ashley obviously hasn’t forgotten. Thank you for the awesome contest!! “the Madness of Lord Ian MacKenzie” is one of my all time favorite books. That’s a new cover for it, isn’t it? Thank you for sharing how you thought of the MacKenzies! The Madness of Lord Ian MacKenzie is one of my favorite books. I’ve read every paranormal book Jennifer has released (a few were written as Allyson James), and she has become one of my favourite authors. I haven’t started the historicals yet, but they sound great. Although I have not read any of Jennifer Ashley’s highlander books, I have heard some really great things about them. I would love to win this giveaway and give them a try. Thank you for sharing and for the giveaway. I love this series so far and I can’t wait to read “The Many Sins of Lord Cameron”, especially since it’s Paul Marron on the cover! I adored the Madness of Lord Ian Mackenzie! Such an amazing book and I can’t wait to read the Cameron’s story! I Have the 2nd book in my TBR pile. It is calling my name! LOL! Thanks for sharing with us! I have never read this author but she is now on my tbr mountain! It sounds wonderful..I would love to win..
I’m so glad this series is being published! I’ve been mulling over getting this series & I’ve had them in my wishlist for some time. I think I’m sold now! I’m so glad this series never “died”!! The Mackenzie Brothers sound awesome 🙂 Congrats on your success & thank you for this giveaway.